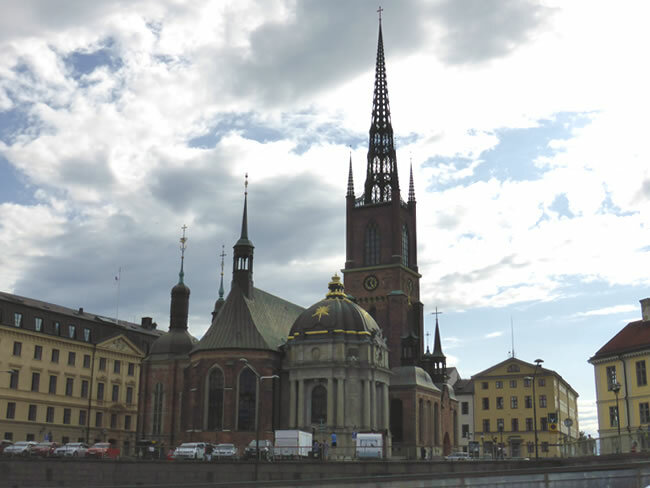 The church Riddarholmskyrkan was begun in 1270 and is next to Gamla Stan. It is the burial place of more than 300 years of Swedish rulers and their consorts including Gustav II Adolf. Several medieval kings are also buried here eg Magnus Ladulås, the founder of the church, who died in 1290.